Live streaming video is growing by leaps and bounds. Sometimes it’s hard to keep up with all the new apps though, so I put together this list. Some of these are more popular than others, and most will probably never really catch on. But, the fact there are so many shows how mainstream live video is becoming. I’m primarily using Periscope and Facebook Live, and have not used most of these, but have made a note on the ones I have tried at least once. Bidchat – Bidchat (coming soon) – Interact face to face with celebrities, influencers, and experts on a live mobile broadcast. Follow me on Busker, my username on Busker is @kopiwoda. DaCast – DaCast makes live and on-demand video streaming simple and includes ways to monetize your content effectively via pay-per-view and/or subscriptions. I tried Eyetok but deleted it because I was required to enable location. Facebook Live – It’s Facebook! Available on the Facebook app on iOS and Android. I do Facebook Live from my profile and my business page. Firetalk – Live video with one or two people on screen. Works on desktop devices running Chrome or Firefox browsers, or iOS devices via their mobile app. Flurry – Live streaming app that connects teenagers with their favorite social media stars. GoLIVEWith – (coming soon) GoLiveWith is a free broadcast network that lets you share your passion with public audiences, private groups and your social networks. I reserved my username on this one several months ago, but have no idea when they intend to launch. Hang w/ – Hang w/ is live-streaming video, with a monetization layer built in. Ads are shown before and after broadcasts and broadcasters can earn 25% of the net advertising revenue earned by Hang w/ from your broadcasts. Hoot – Hoot stream live to facebook and twitter friends. Huzza – This live stream app offers a free plan that allows people to broadcast to up to 25 people. Three other plans are available to broadcast to more people, including monetization options, private broadcasts, and having up to four people on a broadcast. Sign up with Twitter or Patreon. Livecoding.tv – Watch coders code products live and hang out with them. MeVee – Broadcast to the public or create a group for private broadcasts. I tried MeVee several times, both as a broadcaster and viewer, but found it to be extremely glitchy. Peek – Private live stream broadcasts live with friends. Smiletime – Broadcast to viewers, invite a viewer to appear in video chat, up-vote each others’ comments, live polls. Tumblr – Tumblr doesn’t have a live stream app. Instead, they allow you to syndicate your broadcasts from YouTube, YouNow, Kanvas, and Upclose. UStream – Online video and live streaming. YouTube – Coming soon for all, but some people have already have it. 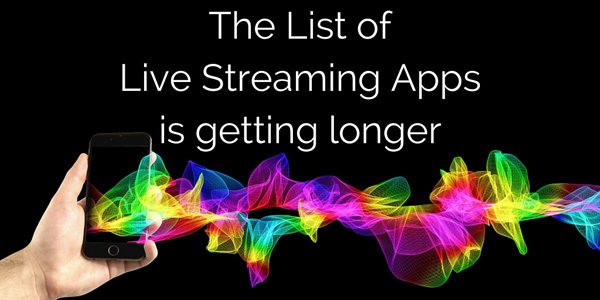 If you want to keep up on the new live stream apps as they come out, I’ll try to update this list periodically. I also have a Twitter list I am adding to as I see them (if they have a Twitter account). You’ll find it here: Live Stream Apps. I broadcast regularly on Periscope and Facebook Live on my profile and my business page. Follow me and come say hello! 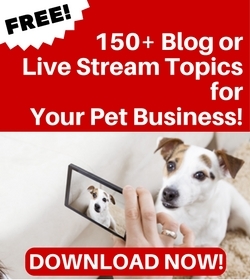 Not sure how to use live streaming for your business? I can help! 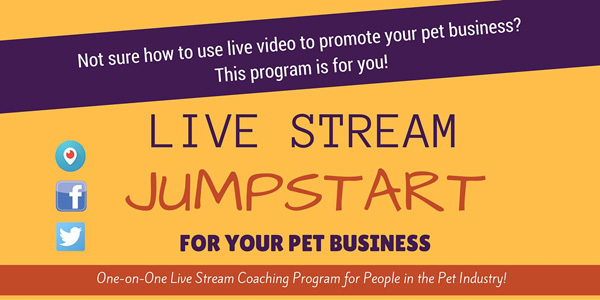 Get started with my Live Stream Jumpstart for Your Pet Business program. You're almost done! Now check your email to confirm your subscription. Get my newsletter for social media & live video tips to help you build your business. I hate spam! Your email address will not be sold or shared with anyone. Beyond Facebook Live, YouTube and Periscope do you see any of these as Game Changing with innovation? My thought is Periscope was first so they are a player. Facebook has massive numbers so they’re a player. YouTube has the medium so they’re a player. The others, unless they have amazing innovation for live video it seems like they are just biding their time? I think if anybody is going to surpass Periscope, Facebook, and YouTube they’re going to have to have some wildly insane features that nobody thought of. Those three just have way too much of a stronghold for the smaller apps to get the audience. And since people have built communities on these platforms I just don’t see it happening unless they have a darn good reason to switch. Now, if Niantic decides to add live chat to Pokemon Go things may get a little interesting. Blab was going pretty strong for a while, it’s a shame they’re losing steam. I have a feeling Facebook is going to make a lot of people forget about Blab though, once they release their split screen feature. In addition to above, you can also have a look at R-HUB live streaming servers app. It empowers live streaming with real time collaboration. If a former Facebook page admin deletes her profile, what happens to page? 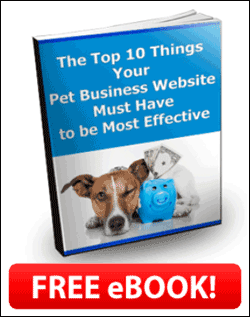 Has your Facebook Page been hijacked by an admin?